Yesterday I stepped outside into the 19 degree weather and almost went into cardiac arrest. Then, I realized I was wearing a pair of raw jeans and decided that the cold would probably increase the stiffness of the denim and help it to fade better. Suddenly, I became warm and decided the weather was actually quite bearable. This might be strange to some, but to many people who are passionate about raw jeans my story might seem rather normal. There's a lot to know about raw denim and solifestyle is here to help you on your way. 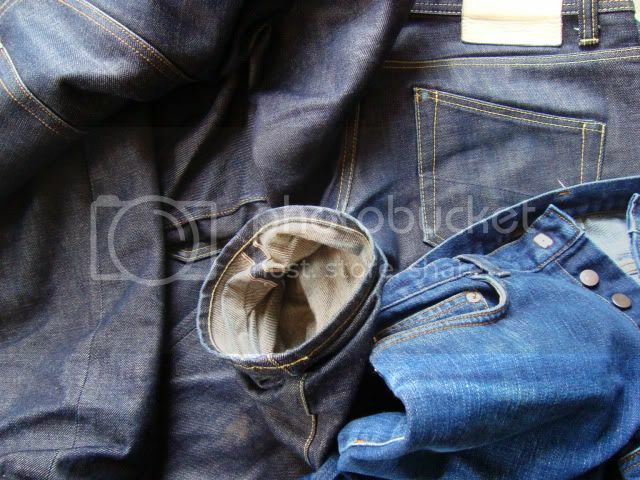 More about raw jeans by clicking the link below. Raw denim starts out stiff and very dark in color, your goal is to wear them out at all costs. When I say all costs, I'm not talking about wearing them each saturday- I'm talking about walking, running, sleeping, biking, and partying in them ALL THE TIME. The constant wear produces fading and color contrast which eventually creates a pair of jeans that look like the faded jeans you buy in the store... although better. The fading will line up perfectly with your body creating denim that was literally made for you and by you. It's really too much information to absorb at once- how heavy is the denim, what kind of dye was used, whether it is sanforized or not and lots, lots more. Instead of writing you a lengthy article, I'll refer you HERE where all of the topics are broken down and discussed at great length. This should help guide you on your quest to break in your new raw jeans. As far as purchasing a great fitting pair, there are two raw denim specialists in New York City that will talk to you at length and find the perfect fit for you. At Blue in Green I recommend brand Somet and Selfedge I recommend brand Flathead.